£1.4billion Retail Scheme Forms Part of Croydon’s "Regeneration Jigsaw"
Nottingham-based Leonard Design has revealed how its plans for Croydon’s £1.4billion Westfield and Hammerson shopping centre bring together the old and new and make significant environmental improvements as a key part of the town’s regeneration. With a grand galleria at its heart, which will be open 24-hours a day, the scheme has been designed to meet residential, retail, and leisure requirements while prioritising access to pedestrian routes and public transport hubs. As well as attracting well-known names, such as a flagship Marks & Spencer, the layout encourages independent retailers and food carts. Plus, upper-level space includes attractive roof terraces and gardens for leisure and residential use. The site itself presented a number of challenges; it connects a conservation area to the west and south, with taller, modern developments on Wellesley Road. In addition to tackling the height transition, the scheme had to sensitively work with these surrounding building types, paying particular attention to views from the 400 year-old Whitgift Almshouses. David Leonard, director at Leonard Design, said: “Working with adjacent properties from medieval and grade I listed to the contemporary has been a fascinating challenge. It’s been a considered and collaborative process alongside a number of partners, including The Whitgift Foundation and Historic England, to create plans that are both ambitious and respectful. 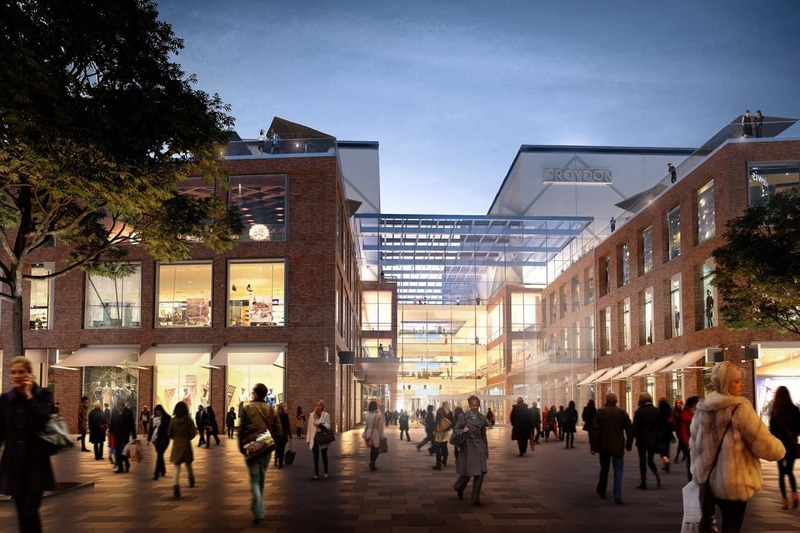 In addition to the shopping centre itself, Leonard Design’s plans include further environmental improvements to the area around Poplar Walk and St Michael’s Church. For further information visit www.leonarddesignarchitects.com or on Twitter.